The first time I tried this recipe, I was definitely a little nervous. 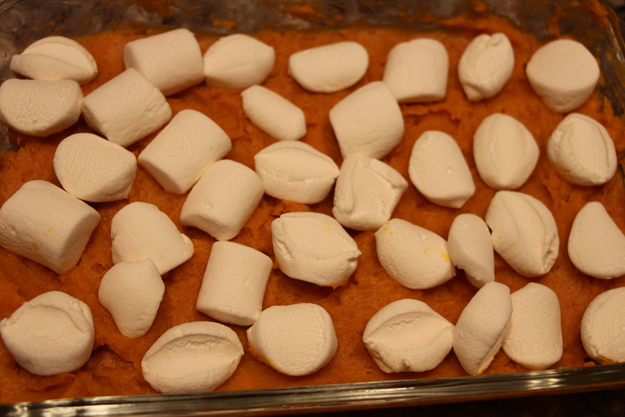 I am not a fussy eater, and marshmallows and squash are two things that I really like on their own, but together? It was such a funny combo! But needless to say, I tried it and loved it! 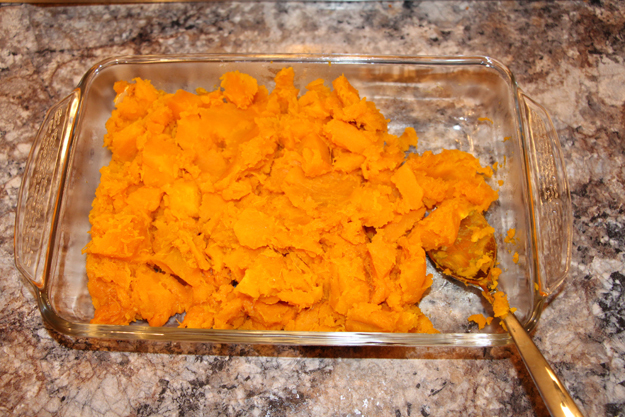 And now I am going to share this Fall side dish so you can try it at home. Wade’s aunt originally gave us the recipe, and we have tweaked it a bit since then. If you are looking for a unique dish for your next Fall supper, give this one a try! 1. Preheat the oven to 375F degrees. Puncture several holes in the top of your squash with a sharp knife. 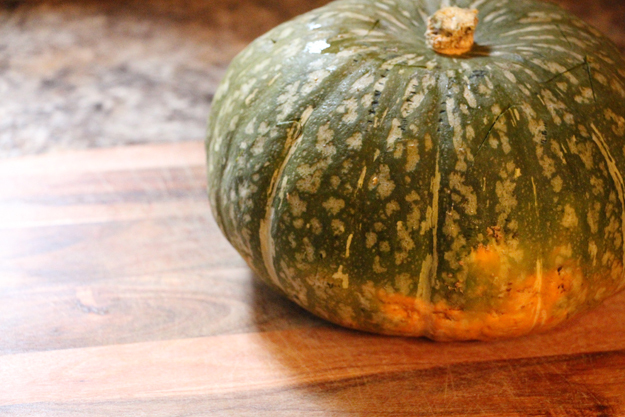 Cook for 1 hour, or until the squash is easy to cut with a knife. Cool for 10 minutes before handling it. 2. Cut the squash open and remove the center of seeds. Scoop out the rest into a bowl. Add butter, brown sugar and cinnamon. Mix well and place in a baking dish. 4. 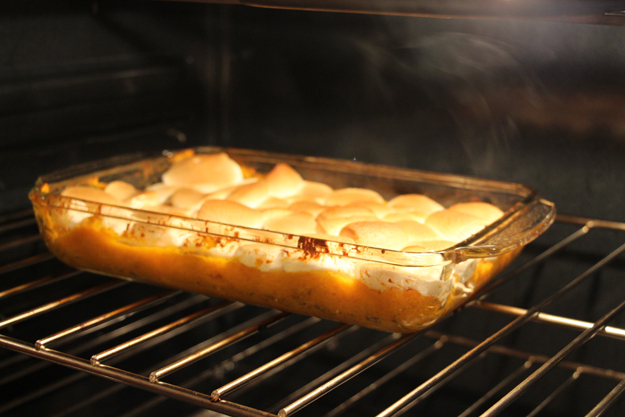 Place it back in the oven until the marshmallows start turning golden brown. Keep an eye on it, because it can burn easily if left in too long. 5. 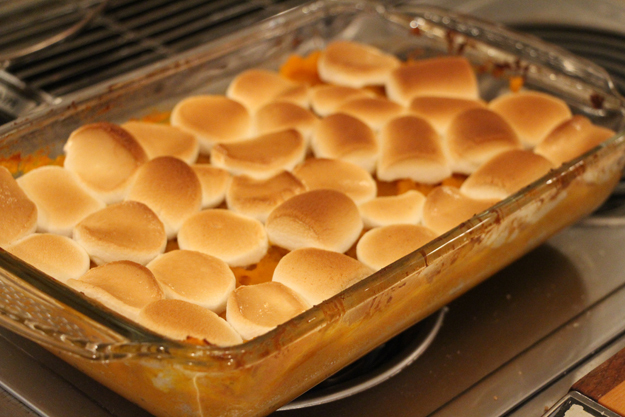 Take it out of the oven once all the marshmallows are toasted. Serve immediately and enjoy!